As business students, we consistently hear about the importance of networking. Throughout your career, you will find yourself in many situations that require you to exercise this skill. This includes attending conferences. Here is an outline of what you should expect and do when you actually get to a conference. 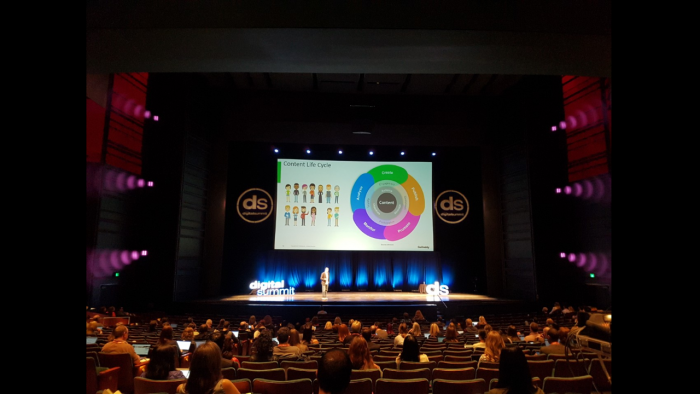 Last month, I had the opportunity to attend the Digital Summit in Seattle. Like Vancouver, Seattle has a bustling tech scene. 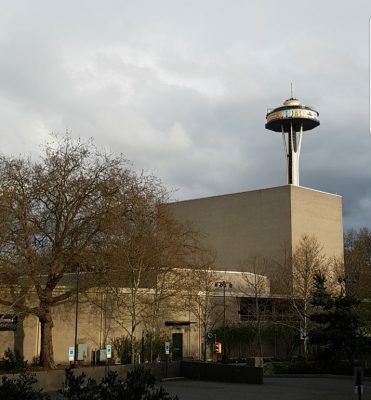 It is also home to Amazon and Microsoft, which naturally paves the way for other marketing industry moguls in the city. Digital Summit is attended by intermediate industry professionals looking to upgrade their skills and even young professionals looking to jumpstart their careers. I feel that every conference newbie should set goals and expectations for who they want to meet and what they want to get out of their experience. For example, you might want to learn about what’s new in the industry or ask questions after sessions to advance your current work goals. Or you might want to mingle with like-minded individuals in hopes of developing meaningful relationships. Those familiar with search engine marketing are aware of the top 3 tools: Ahrefs, SEMRush and Moz. Rand, a Seattle local, founded Moz in 2004. His session was very well-received and incredibly enlightening; I learned a lot about his projections for the coming years within the search marketing industry. “The addiction to search is powerful”. He brought forth analytics from web search data that he acquired for his company. I was surprised that this data was collected through Avast Antivirus which accumulated web searches done across the globe anonymously. My biggest takeaway from the session: Google, with no surprise, accounted for 90%+ of the searches in February 2018. To my surprise, however, a quarter of those came through Google Images. Rand encouraged marketers to invest in visual content to gain traffic from Google Image searches. Scott’s keynote was an absolute humour train. If you have read The Onion, you understand the satire behind the outrageously inaccurate news reportings. He went on to describe the roots of his venture and the countless legal troubles they ran into. My biggest takeaway from the session: You can get away with a lot if you are funny. Mary presented the ending keynote at the event. She is the CMO for WP Engine, a web hosting provider for WordPress websites. A quick fact: 30% of the internet runs on WordPress. Mary talked about catering to the up-and-coming Gen Z. For the longest time, the terms “Gen Z” and “millennials” were used interchangeably. However, Mary explained how the two are mutually exclusive demographics for marketers. My biggest takeaway from the session: Gen Z is 25% more likely to give out their information to receive better ads. What does this mean? Marketers now have to make sure their ads provide a meaningful experience to the user, given the stakes. 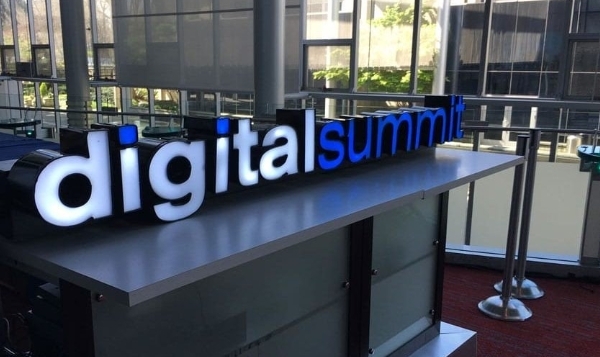 Digital Summit Seattle had 56 thirty-minute sessions in the span of 2 days. This meant there were 3 sessions happening concurrently most of the time. You were expected to pick one that is the most relevant to you. A strategy I use is researching the presenters whose sessions I am interested in beforehand. By doing so, you can find other people in the room that are interested in a topic that is relevant to you. Some of the sessions are role specific and, by attending them, you can find co-attendees who may become valuable connections. You can use the content of the presentation as an ice-breaker during networking breaks. Networking can be intimidating. But remember, passion is contagious. And just like us, the professionals we meet were once students. We’ve all been in the same boat. Mayank Jha is a BBA Candidate concentrating in Marketing. Going into his fourth and final year in the fall, Mayank currently works in the digital marketing industry when he’s not in school. 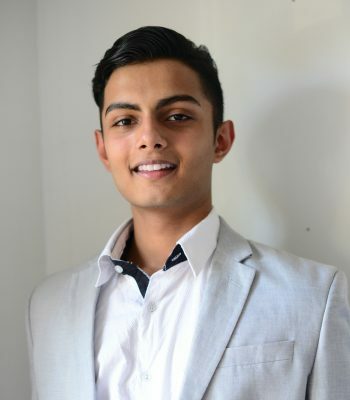 In the upcoming year, Mayank plans to give back to the community by helping local charities with their digital strategies. If you ever want to have a passionate round of discussion about digital marketing or just want to say hi, connect with him on LinkedIn. © Copyright 2019 Experience Beedie. Newsroom Theme by WPBandit.